Our name says it all. Wood. Smoke. BBQ. 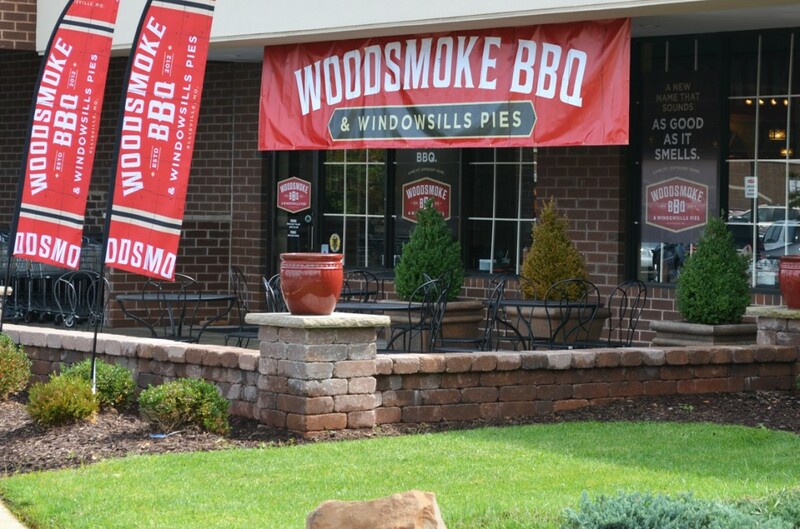 Opened in 2012, WOODSMOKE BBQ & Windowsills Pies is a casual dining smokehouse BBQ restaurant located in Ellisville, MO. Our mission is simple – to serve the best BBQ in St. Louis. Under the watchful eye of Pitmaster Jeff Allee, Woodsmoke fires up the smoker early every morning, using classic smoking techniques and bold housemade recipes so that customers can feast on perfection in every meal. We’re serious about BBQ. Let’s not forget our pies. Oh, our pies. Windowsills pies are part of our DNA – we’ve been serving scratch-made desserts since the day we opened. From tantalizing fruit, cream pies, tarts, cakes, cookies and brownies, our selections vary daily, but everyday we serve something special that keeps dessert lovers coming back. WOODSMOKE BBQ & Windowsills Pies offers indoor and patio dining and satisfies the BBQ lover, mom and kids. And with a 15-minute carryout guarantee, we’re a perfect option for busy families. Rooted in Ellisville, MO, WOODSMOKE BBQ & Windowsills Pies is located at the intersection of Clarkson & Clayton Roads, in the Clarkson/Clayton Center, next to Dierbergs.